Rode shovel up to the local Farmer's Market this morning as I do each Saturday. As I rode out, I got quite a surprise. A Road Traffic Police car drove past and the copper in the passenger seat looked at me smiled and gave me the thumbs up. Obviously a nice bloke and hope all goes well for him. Took a photo of the chopper on the way home... bag full of vegies with a bag of oranges on the top. Small amount today as i normally fill the saddle bags as well. 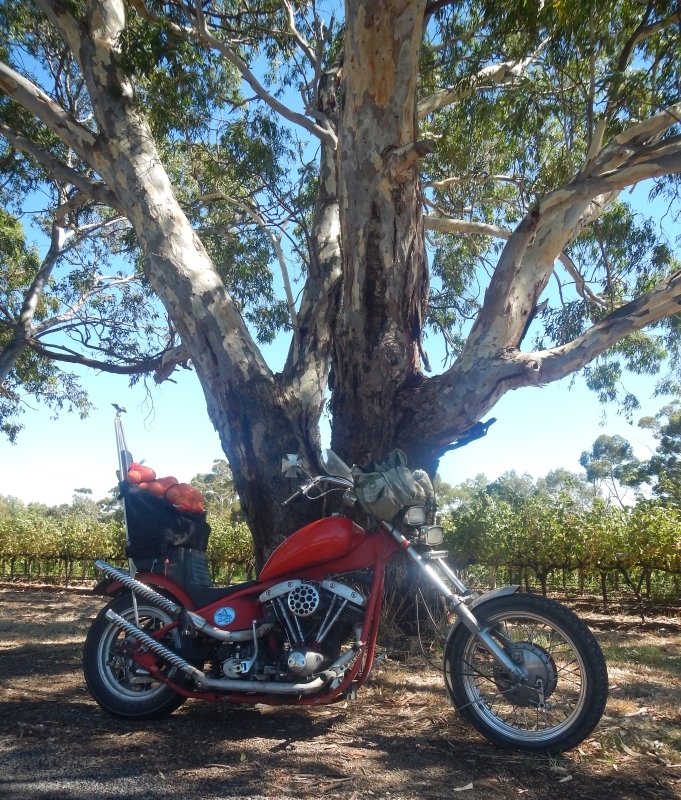 Interesting story about the gum tree behind the bike. 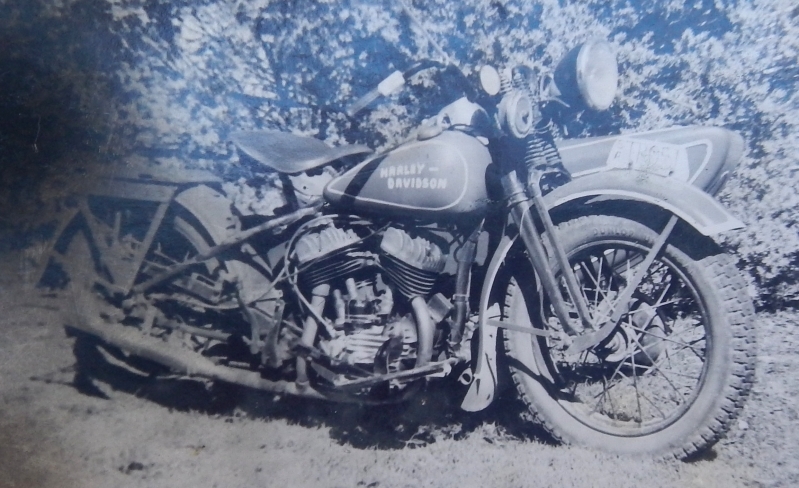 I had not long had my licence, when one night I took the WLA and sidecar out for a spin. Dad and mum were in Adelaide at band practice. As I took off down our road the tonneau cover on the side car was flapping. I lent over to secure it and ran off the road and hit the tree. 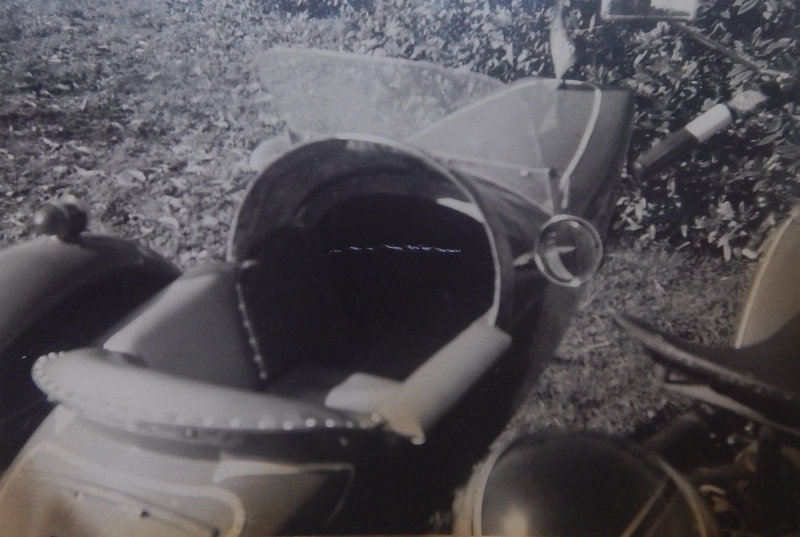 Now the interesting thing is that at that time (1969), the tree which was not much more than a sapling was so small that the sidecar body slid against one side of the trunk and the tank on the other til it banged up against the front sidecar frame. As you can see, the tree has grown considerably in the last 50 years as it is now well over 3' in diameter! The reason I hit the tree was that a drain had been graded from the edge of the road (dirt then) and the front wheel got in it and I had no where else to go. I slowed enough to not be injured, but try as I did could not extract the outfit. I walked the half mile home and left a note on the table and went to bed. Was a bit shaken up by my close call. Well was there ever trouble when my parents got home. They came across the abandoned outfit and immediately assumed that I had been concussed and wandered off. They raced home in panic and called the police to do a search... and... then saw my note. Needless to say I was woken up and got a roasting by a father who was not sure if he was furious, embarrassed or relieved!!! Cowl and screen was made by me to give passengers more protection. Plan was for a padded dash with radio, but the chopper bug scotched all that!